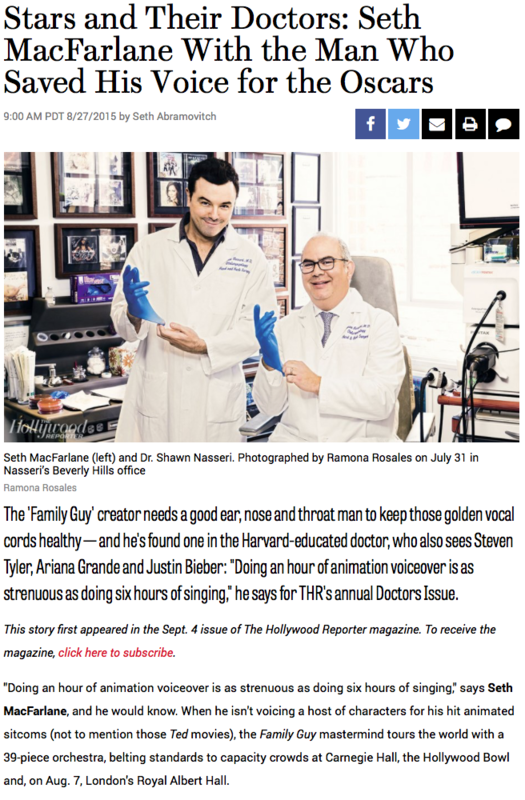 As one of LA’s leading otolaryngologists, Dr. Nasseri is frequently consulted by the biggest names in vocal performance, music management, television, feature production and media. 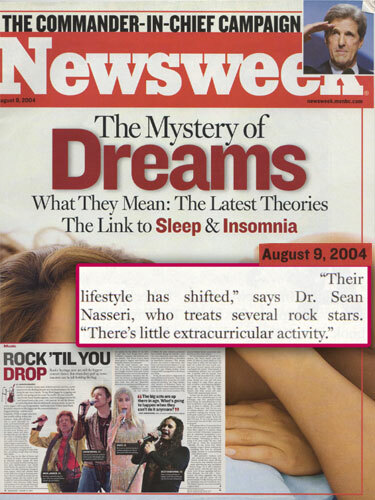 Dr. Nasseri has been repeatedly asked to appear on top television shows including “American Idol, “X Factor,” “America’s Got Talent”, “Mary Mary,” “The Wanted Life,” “The Sing-Off”, “The Doctors”, “E! News”, and “Extra: Life Changers” to name a few. He has had a relationship caring for contestants and production with 12 plus seasons of “American Idol,” ten seasons of “So You Think You Can Dance,” three seasons of “X Factor USA,” the West coast seasons of “America’s Got Talent,” and two seasons of “The Sing Off,” as well as other singing shows including “The Voice” on multiple occasions. 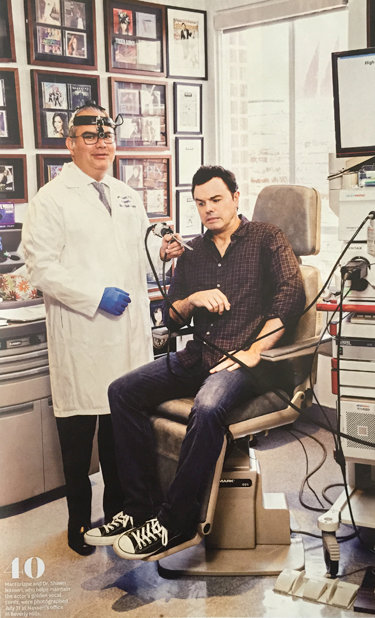 In September 2015, “The Hollywood Reporter” named Dr. Nasseri one of Hollywood’s Top Doctors and profiled him in a feature with longtime client Seth MacFarlane. Dr. Nasseri is a frequently sought after sinus and voice expert in all areas of medicine and media. Find links to his most recent press below. 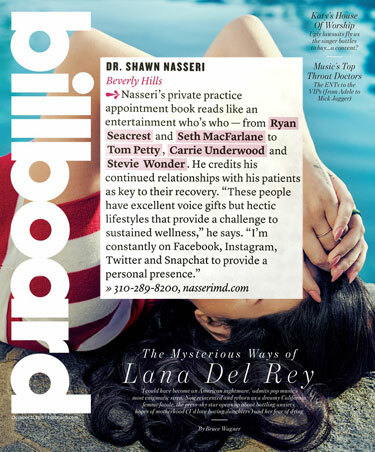 If you’d like to employ Dr. Nasseri’s expertise, please call his main office at (310) 289-8200. Out of surgery ???!!! Still in ? but great job by my the best vocal chord doc in biz dr. Nasseri. 2 weeks off using my voice and maybe some sleep? Ha ha yeah right. I'm screaming out…(u know the words) Lol ?? ?